Summary: The overworked and ponderous “Bridal Chorus (Treulich geführt)” from Richard Wagner’s opera Lohengrin is often called “Here Comes the Bride” in English. This begat a parody sung especially by school children but known by many. It begins, “Here comes the bride, big, fat, and wide.” Because of its pagan roots, sentimentalism, and the mockery it engenders, many pastors and priests refuse to use it in Christian weddings. Yet today we read of a bride that seems to match this description — this “holy city, new Jerusalem” is big (12,000 stadia tall), fat (12,000 stadia thick) and wide (12,000 stadia across). Each edge of this huge cube measures about 1,380 miles, giving it a volume of 2,628,072,000 cubic miles, over one percent of the world’s entire volume. This may sound small, but it's roughly equivalent to the surface area of Australia and everything beneath it tapering down to the center of the earth. 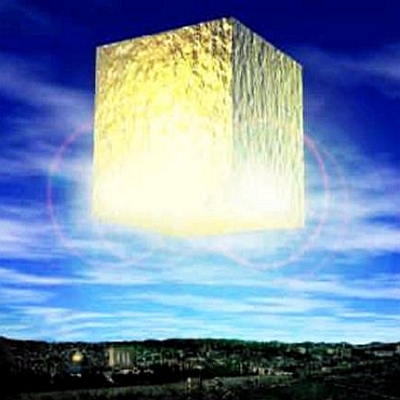 Does this mean that our eternal dwelling place is a giant cube like something occupied by Star Trek’s Borg Collective? Of course not! This visionary language, in line with most of Revelation, is another example of God turning things “inside-out” when making all things new. Under the Old Covenant, the only cube Scripture reveals is the Holy of Holies, the most sacred part of Tabernacle and Temple, the place where the Ark of the Covenant sat and where the Lord ruled His people in grace rather than wrath. 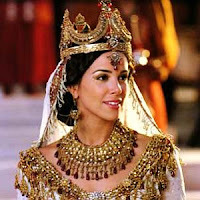 No one except the high priest on the Day of Atonement was allowed entry. The New Creation has no temple (Revelation 21:22) yet it has the fulfillment of the Holy of Holies. Instead of sinful mankind gathering outside, hoping for mediation, we who are redeemed by Christ and who believe in Him will live within this “cubical city,” the place of God’s presence, pardon, and peace. Christ our great High Priest opened the way and the top-down tearing of the separating curtain at Jesus’ death (Matthew 27:51) testified to this new, full, and eternal access He provides us to our Father. Text: Then I saw a new heaven and a new earth, for the first heaven and the first earth had passed away, and the sea was no more. And I saw the holy city, new Jerusalem, coming down out of heaven from God, prepared as a bride adorned for her husband. Audio: Click to hear the MP3 of Here Comes the Bride, preached to the saints of God at Faith Lutheran Church, Knob Noster, Missouri.